Any home can become farmhouse style with vintage accessories and easy DIY projects. Even a modern space can be warmed up with just a little tweaking. These farmhouse decorating ideas will inspire you to add some nostalgic charm to any type of space. Interesting textures create a space that feels cozier. You can incorporate warm textures with the type of flooring, walls and fabrics that you use. 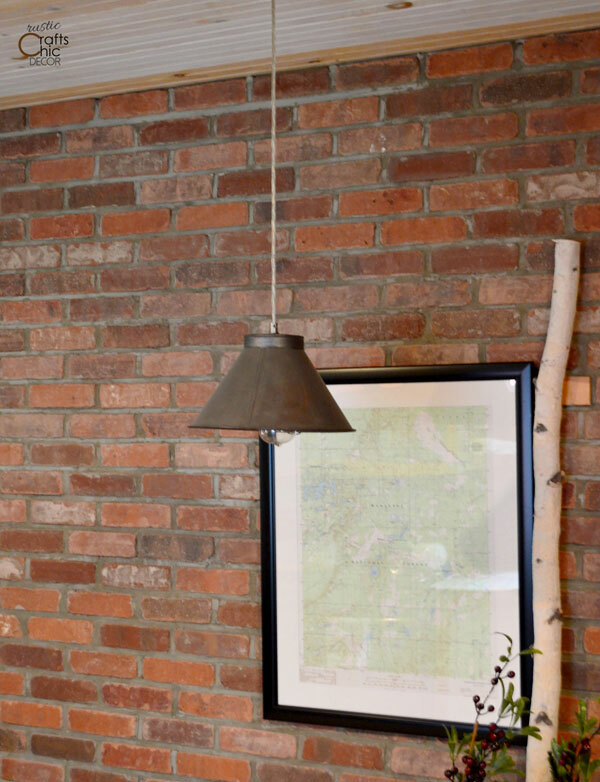 For instance a brick wall adds a rustic texture that is comforting and casual. This brick wall was installed with thin brick veneers. However, if you are lucky you may be able to expose some brick in an old house. You would be surprised at how many old homes have a brick chimney hiding behind the plaster! When we renovated this house, we were able to expose the old brick chimney. Another great option for a farmhouse wall is, of course, shiplap. 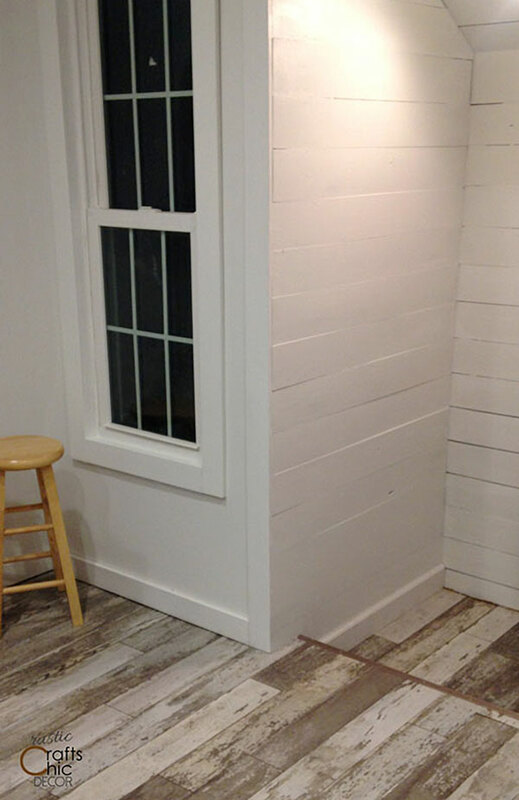 Although white is a popular color for painting shiplap, you can paint it any color to coordinate with a room. The texture is what gives it farmhouse style. Another great find in the house we renovated was a section of shiplap. Of course, this is always something that can be added at any time. DIY shiplap walls are super easy! Since the floor needed to be replaced in this kitchen, we went with weathered laminate planks for even more texture. If you want to add a little farmhouse interest to any of your floors, you might want to consider painting them. Pretty much any type of floor including wood, tile, or concrete can be painted. Painted floors can either be a solid color or a fun pattern. 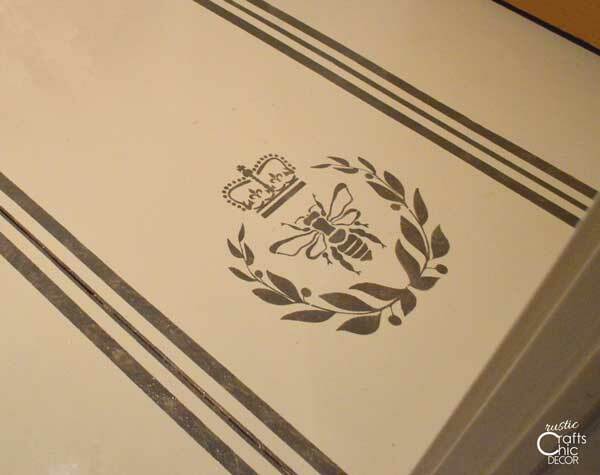 I gave my concrete floor in my craft room a paint and stencil treatment. Typically, I like an easy to clean tile floor in a craft room. However, since my craft space was going into an unfinished part of our basement, I decided to just paint the concrete. It was a less expensive option than adding tile and I like the fun design. Any space can be softened and made comfortable with fabric. Throws and decorative pillows can accentuate a style. However, even common decor items can be enhanced with fabric. For farmhouse decorating, I like to use grain sacks. Grain sacks can be used for chair upholstery, pillows and to even cover a glass vase. The right light fixtures can really set the tone for your home style. For a farmhouse style, you may want to consider DIY light fixtures made from industrial metal parts. Chic chandeliers that contrast a more rustic room are also a great option. I made this pendant light using an old kitchen sifter as the shade. Since this craft space is all mine, I bought a glitzy ceiling light. 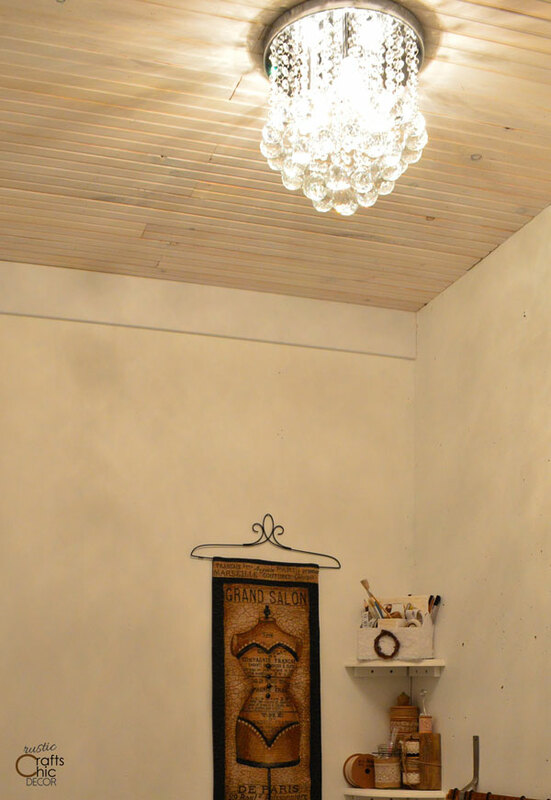 The contrast with the wood ceiling gives the room a rustic chic look. Farmhouse sink styles tend to take you back in time. They are more of a focal point than just your standard sink. Whether the sink is apron style or made of copper, a farmhouse sink has a unique style. You can find them for sale at pretty much any building supply store. 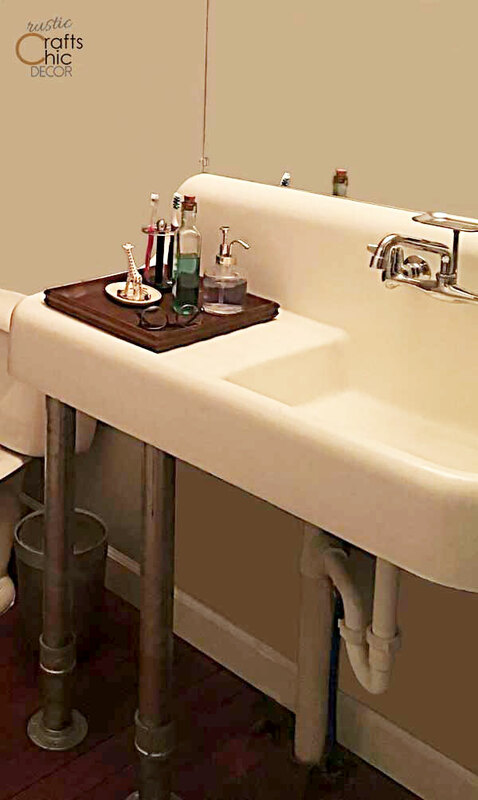 However, if you have access to an authentic vintage sink, it might be worth cleaning it up! Our renovated home had a pretty cool sink in the kitchen. We ended up cleaning and repurposing the sink for one of the bathrooms. I had to replace the faucet but found a replicate that was almost exactly like the original. Using vintage doors and windows in your decor is a sure sign of farmhouse style. Furniture made from old doors has a certain rustic charm. Things like coffee tables, benches, headboards or shelving units can all be made from old doors. 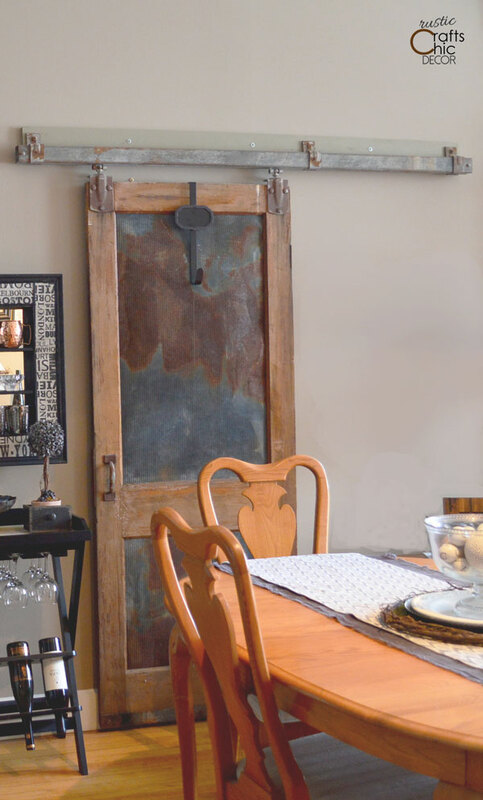 You can also use a vintage door to replace a pantry door or to make a sliding barn door. Old windows can also be used to make things or to use, as is, to enhance your farmhouse decor. Think about a chalkboard window, a window pots and pans holder, or simply as a backdrop. 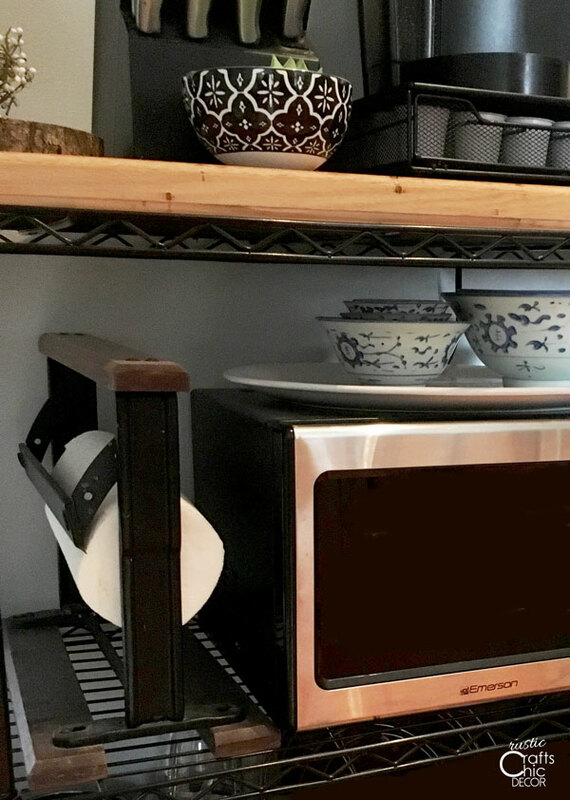 An easy way to make a home farmhouse style is with accessories. Shop at antique stores, estate sales or flea markets to get a good supply of vintage items to display. A popular area of the home to display antiques is in the kitchen. 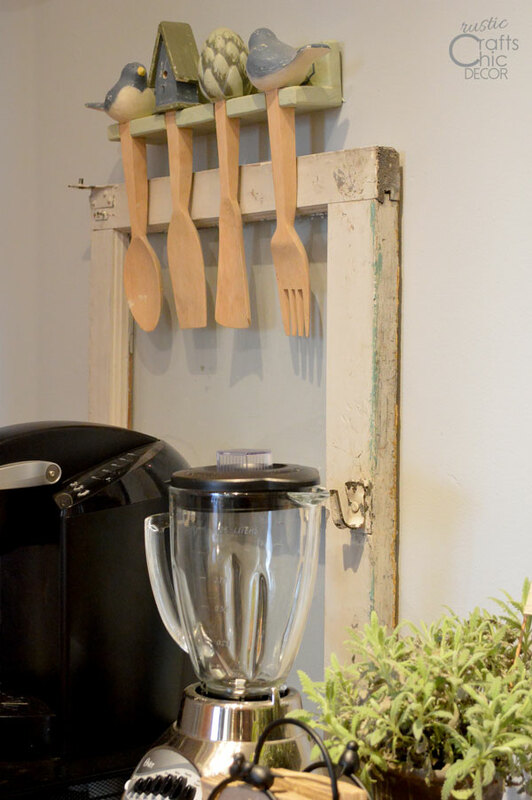 Things like old scales, coffee grinders, paper holders, or utensils all make fantastic farmhouse accessories. Vintage paper roll holders are great for paper towels. It’s always nice when you can actually use an item that you have on display! Other farmhouse decorating ideas would include adding distressed furniture. 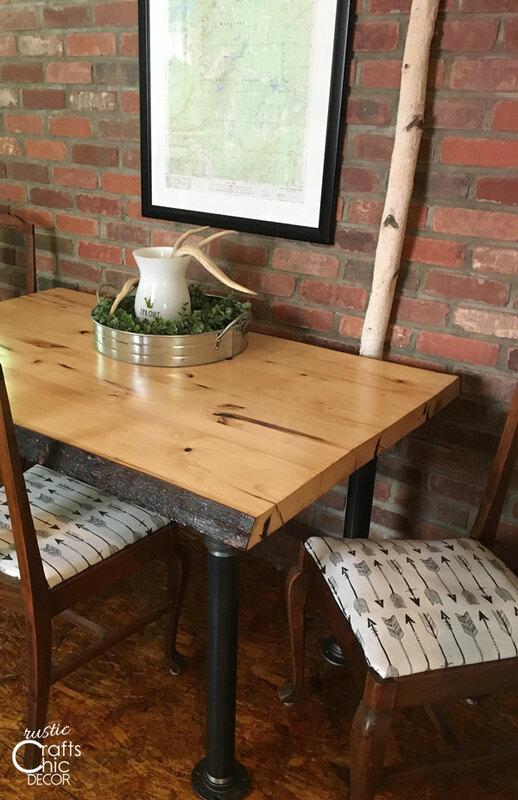 Whether you distress a new piece of furniture or repurpose something old, the worn look is comfortable and perfect for a farmhouse style. There are plenty of ways to make your own rustic furniture from vintage pieces. 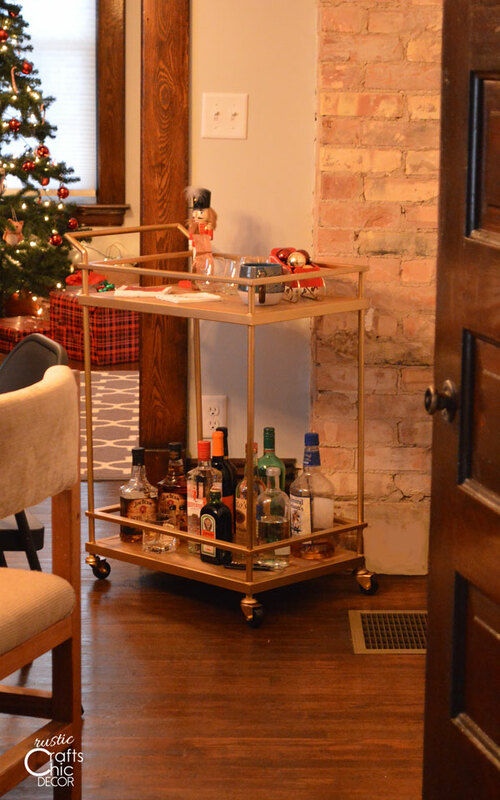 Maybe you just add table legs to a vintage suitcase or wooden trunk. Along with distressed furniture, things like old ladders, metal pulleys and old books are all great to accessorize with. Most of the rustic crafts found here are perfect for decorating a farmhouse. You can easily make things like signs, wreaths, placemats and centerpieces with just a little effort. Are you a fan of farmhouse style? 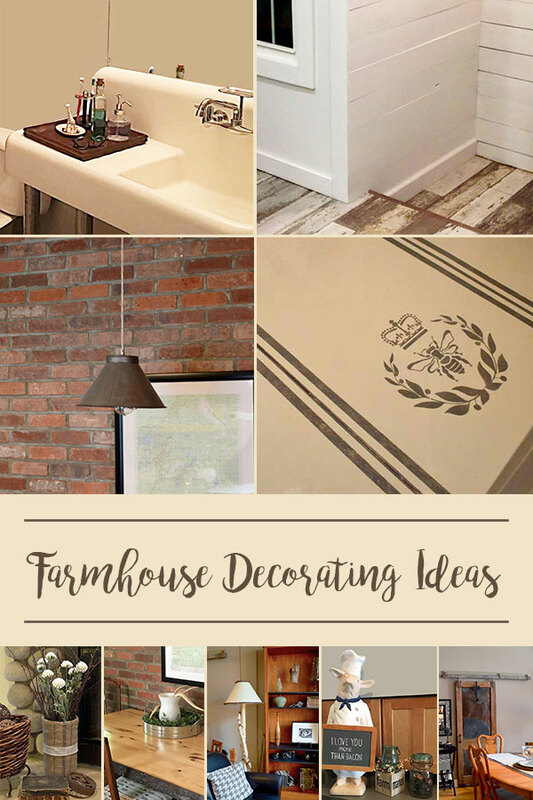 Do you have any farmhouse decorating ideas that you would like to share? I’ve never redecorated a farmhouse before, but I like all the ideas you came up with in this article!